Buffalo is the second largest city in New York, located in Erie County in the westernmost part of the state, off the eastern shore of Lake Erie and just south of Niagara Falls. It is a part of the Buffalo-Niagara Falls metropolitan area, which boasts over 1.1 million people. Its location on the border of United States and Canada makes it an ideal gateway for international travel and commerce. While its roots are as a manufacturing city, the economy’s focus has shifted to areas of public interest like education, health care and research in recent years. There is easy access to Buffalo and surrounding areas via car thanks to the ten highways that permeate the city, including New York State Route 5, Interstate 190, NY 354 and NY 266. Whether you’re traveling to Canada, Lake Erie or somewhere within the city, be sure your Buffalo car insurance is up to date, as car insurance is a New York state requirement and protects you in case of an accident. If you haven’t been able to find a good car insurance agent in Buffalo, New York, contact Capital Gate Insurance for a free quote. We have great connections with Buffalo insurers to get the policy you need. Other transportation options in Buffalo include the Buffalo Metro Rail, Amtrak and, for points beyond Buffalo, the Buffalo Niagara International Airport. Sports fans can enjoy watching professional sports teams like the NFL’s Buffalo Bills and NHL’s Buffalo Sabres in action, as well as the Toronto Blue Jays’ minor league baseball affiliate Buffalo Bisons. There are over 20 parks in the Buffalo park system in which residents can use to enjoy hiking and cycling as well as various motor and water sports. If you drive an ATV, motorcycle, snowmobile or use a boat, be sure to contact Capital Gate for affordable premiums on specialty insurance for these items. Buffalo is a great place to live, with varied and fascinating 19th- and 20th-century architecture, beautiful views of Lake Erie and some of the finest cuisine in the world. The city’s diversity has brought an incredible array of tastes into the city, from Italian to Greek to Chinese to — of course — the chicken wings that Buffalo is famous for! There are art galleries, concert halls and more, and you can always take a quick trip to Canada and Niagara Falls. 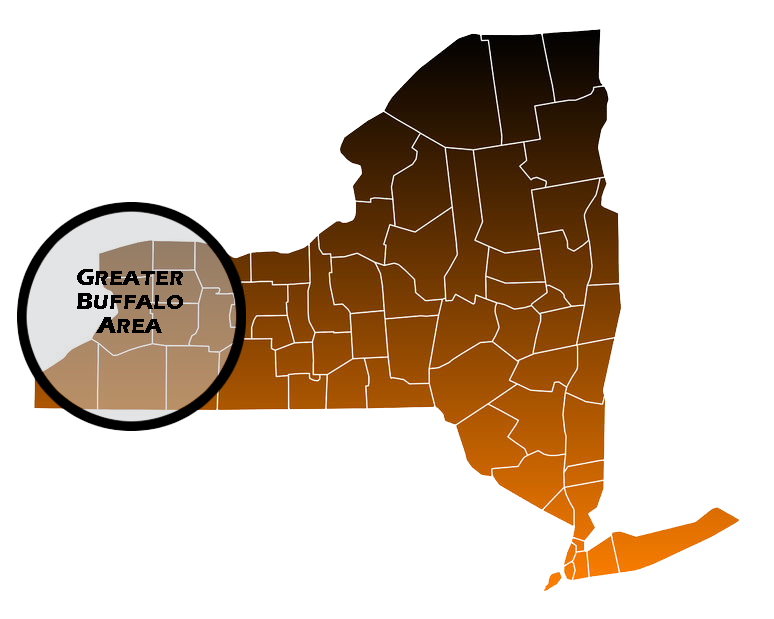 If you do live in Buffalo, it’s important to protect your home with good Buffalo home insurance coverage. Providing comprehensive, affordable homeowner’s insurance in Buffalo is a Capital Gate Insurance Group specialty, so be sure to call us for coverage options. We can help you with renter’s insurance as well. The State of New York employs many Buffalo residents, as does the federal government. There are also opportunities in banking and health care. A recent and exciting addition to the Buffalo economic scene is Elon Musk’s new Tesla Gigafactory 2 in South Buffalo. If you are thinking about starting a business in Buffalo, don’t forget to make sure your business has proper insurance coverage. Capital Gate Insurance is ready to help. We find affordable commercial insurance for Buffalo businesses all the time. Contact us for a Buffalo business insurance quote to save money today!